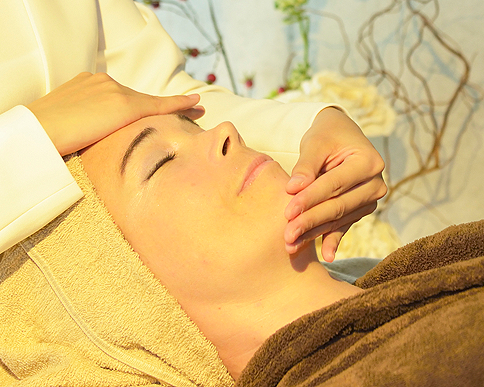 Formachika provides high-performance customized facials to treat each client’s needs. Our experienced therapist was trained and worked in luxurious spas in both New York and Tokyo, and can determine skin condition and needs of each client correctly through a private consultation. We not only pursue the best result, but also our clients’ satisfaction. 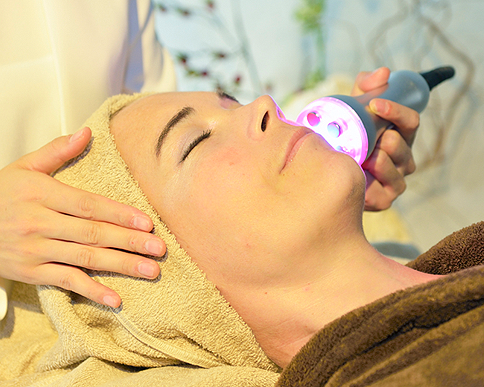 Deep Pore Cleansing Facial is a standard and popular treatment in Europe and North America. This treatment will eliminate debris and dead surface skin cells accumulation that can clog pores and leave skin dull looking. Some people go to a spa just to get this treatment. Just like a teeth cleaning at a dental clinic, your face needs a professional cleansing at least once a month in order to improve skin condition. 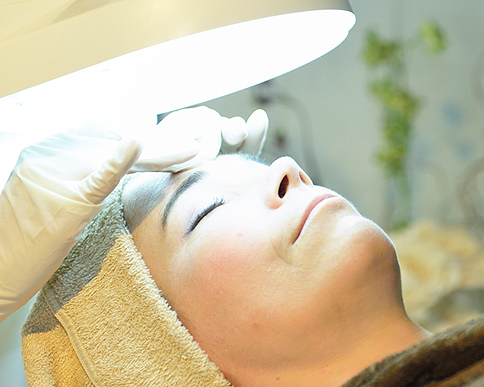 Deep Pore Cleansing Facial has a few risks – it may leave redness, pain, or even scars on your face. However, these risks are minimal with our special treatment. (*Note: Based on our clients’ feedback. May vary per skin condition.) This treatment is popular especially among our non-Japanese clients. We are one of the few beauty salons in Japan that is offering this treatment. We are extremely proud of our special technique and we highly suggest that you experience it at least once! Matricaria Therapy and Parasympathetic Massage Therapy! Stroking face or Lymph Drainage Therapy may not be enough to get the best result of a facial treatment, and you may be left with a temporary face-lift, which may give an impression of a stern face. Our fully customized facial with Parasympathetic massage and Stimulation therapy will help boost your inner beauty. Our treatment also focuses on gynecological functions. Matricaria Therapy will correct one’s hormone balance and pelvic tilt, and promote younger and healthier looking face. Visceral condition check will help you manage your health and manage the balance of your mind and body. Unwind completely and release tension. Relax deeply to get a quality sleep at night. We hope you visit us to experience it all for yourself! From head to tow, we will provide necessary treatment to necessary places of your body, fully customized per your condition. Taking out all the waste materials and releasing all the tensions from the body will help you breathe more deeply and regain calm feeling. Convalescence from fatigue, deep relaxation, and autonomic activation will rejuvenate all the cells on your face and body. Required treatment varies depending on age, race, culture, health condition, or any special needs. We put importance on consulting with clients and listening to their body carefully to provide required and effective treatments. Also, our therapist has enough skill to deliver different kind of treatments such as Shiatsu, lymphatic massage, Swedish massage, lomi lomi massage, hot stone massage, or neural therapy. To promote overall wellness, Reiki, Ho’oponopono (ancient Hawaian practice of reconciliation and forgiveness), and original energy healing may be used. Our spa is a refuge from the world outside. Please enjoy the blissful time.